/ Does Color Changing Hair Dye Exist? YES, to answer in one word! Imagine your hair turns hot red under the sun and at once looking raven black as the cool breeze touches your strands. Doesn’t it sound dreamy? Well, it’s no more a dream. 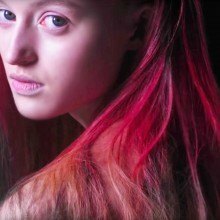 Lauren Bowker, the owner of The Unseen, the UK-based art house has invented the world’s first color-changing hair dye.Known as the real-life witch, Lauren is an incredibly innovative data visualization scientist who communicates her unique fashion ideas using science and technology. 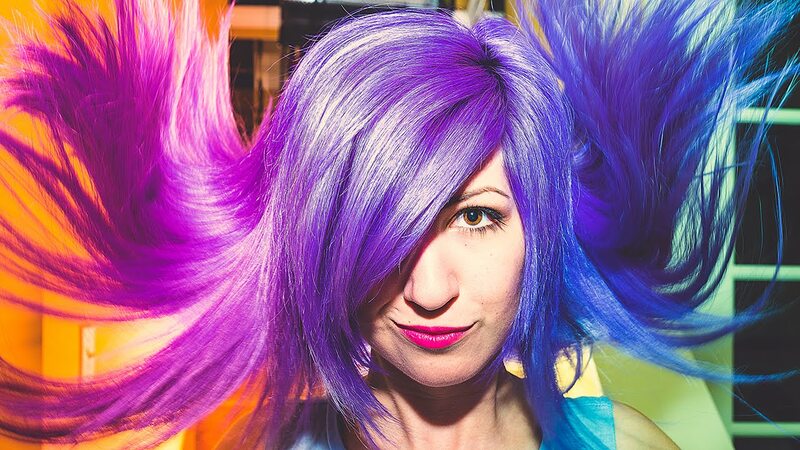 Her amazing color-changing hair dye invention is inspired by the iconic hair color changing scene in 1996 movie The Craft. It seems to be a stunning real-life witchcraft. The color changing hair dye made first official debut during London Fashion Week. Hair processed with this never-seen-before dye changes its color depending on your surroundings and temperature. This dye version is named as FIRE. It’s available in multiple colors starting from bright red, rainbow brights to subtle pastels. Sadly, the application of dye is semi-permanent, and it lasts only over a few washes. 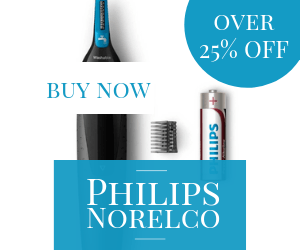 It makes an excellent choice for those who love experimenting with their hair. And, also for those who want to replace around 100 hair colors a year with single dye without damaging their hair. How does color changing hair dye work? This brilliant hair dye follows thermochromic ink technology used in things that change the color of the text as the surrounding temperature changes. The dye is not applied on the scalp as thermochromic ink is toxic and can cause irritation and burn on the scalp. To avoid unpleasant scalp conditions, the firm has replaced this harmful toxic with reformulated and tested less toxic ingredients. Bowker shared the science that works behind this invention. She said that it uses complex carbon-based molecules, which turn its color as exposed to the temperature change. When heat or cool hits hair pigments, it changes the bonds of chemistry and gives your hair a different shade. It’s like a chemical reaction. It changes color with temperature change. So when you are under the sun, you get a different color, and when you are sitting in AC, your hair looks different. If you’ve got red hair, cool breeze turns it in blue shade. The Unseen plans to innovate more creative hair dyes that work permanently, but not on the semi-permanent or temporary basis.They scope for more fantasized shades, and subtle color changes too like changing color while moving inside and outside a building. 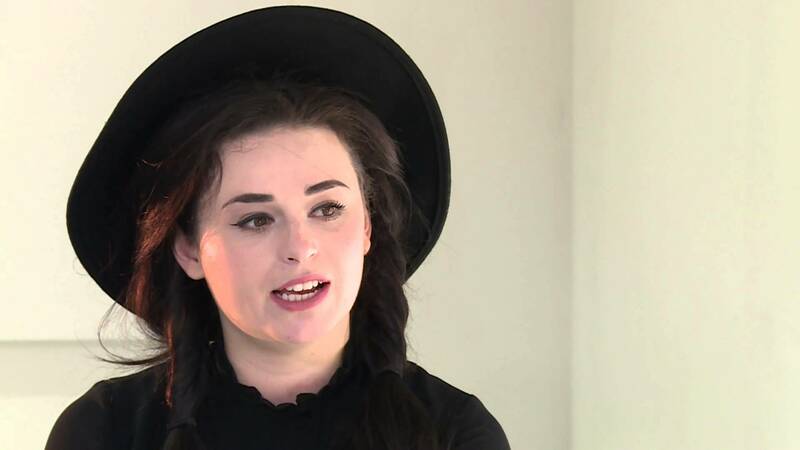 Lauren states that the goal of this revolutionary hair dye is not only fashion, but it’s aimed to show the power of science and technology to the youngsters and to encourage them to get involved in science and technology. Bowker’s FIRE dye it still not so popular in the market. It’s not available in the retail market yet. The company is looking for commercial partners who will help endorse this revolutionary color changing hair dye in the market. So, you have to wait little longer before jumping on the coolest hair trend ever.